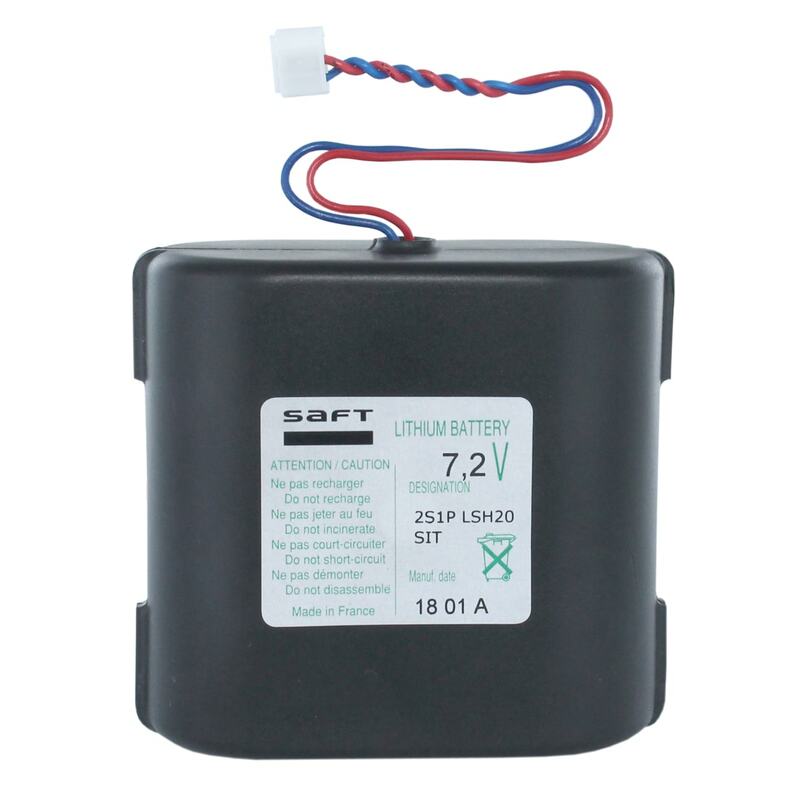 This genuine original Saft 2LSH20 lithium gas fire ignition battery pack is made up of 2 x LSH20 cells. It is completely insulated and terminated with a 120mm lead and a 3 way connector. 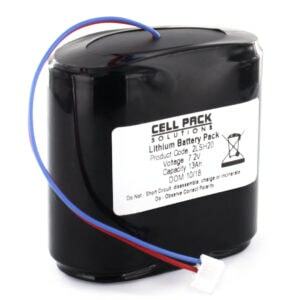 This is the original battery in the black heat protective plastic case. Please be aware that there are cheaper unauthorised alternatives in the market. The manufacturing date format is YY/MM. All our batteries are tested for the correct voltage on leaving the factory, each of the cells is fitted with a safety fuse, so please take great care when inserting the battery. This battery does not carry a warranty and is not subject to our standard returns and refund policies. Take great care if you attempt to test these batteries with a voltmeter, it is possible for people (even engineers) to unwittingly short circuit the battery whilst testing it for voltage. This will render the battery useless. Word of Warning: All batteries should be treated with care, do not attempt battery swap unless you are confident and competent. If in doubt buy the battery and call an engineer to fit it. Please note that if you should always replace any heat guards that you may have removed in order to fit the battery. These are there to help protect the battery case from being deformed by the heat. Excellent service and battery is just the job. Prices are very competitive. Easy to contact. Clear catalogue to locate one’s needs. Highly efficient packaging and prompt delivery. A five star company in all aspects. I have now received the alkaline battery which has worked a treat. So thanks for your help getting the fire lit in our house for Christmas! Also thanks for your great response and service I’m very impressed with you and your company. Excellent, speedy service as usual. Once again excellent service from Cell pack, having ordered the battery over the last 2 years , first class service, rapid response, highly recommended. Easy to find and select the battery I needed at a fair price. Good service and prompt delivery. Excellent service all round, Ordering , delivery all stress free. Battery working perfectly. After bad experience with another supplier last time I bought same item I’m doubly happy! Will definitely use again. The battery was as described, the order form was straight forward to fill out, the price was good much cheaper than Amazon and was delivered the next day. As described, excellent service, fair price. Product came on time and works perfectly. 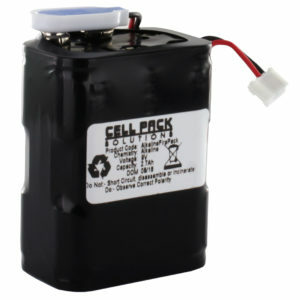 I have not yet installed the battery but the service from Cellpacksolutions is excellent.The battery arrived on the advised day with Parcel Force. Many thanks for such a good service! Ordered battery which arrived on time and worked first time after fitting. Delivery cost a bit high but battery cost very competitive. Would use Cellpack Solutions again. Excellent service – arrived the very next day after ordering. The right product for my gas fire. Well done – will use you again………. I just wanted to take the opportunity to thank you for the customer excellent service I experienced from you last week. I found you via a google search for the battery for my fire and within a few minutes had ordered the battery that I thought I needed which then came a day or two after as you’d stated. As a regular internet customer I couldn’t ask for anything more from you and wanted to make sure you got some positive feedback. Great service – fast dispatch and tracking facility helpful. From ordering to next day delivery, very good service, was kept informed regards tracking, but these batteries are expensive, from whatever supplier. Very good process at all stages, from ordering to delivery. Website user friendly, knowing which battery is required always helps. Item was delivered quickly and on time but postage was expensive. Great service from this company – battery ordered and delivered in super-quick time. Trackable too. Well-recommended. Good quick service from CellPack, battery price ok I thought. Postage though at £9 was a bit high and I didn’t really need next day delivery, not that I got it. The delivery company missed me when they tried to deliver and did not leave a card telling me they had been. I had to check online, track the item, phone the delivery company and then go and collect battery locally. Got the battery 2 days late. Not sure why I rated Good but maybe CellPack need to change delivery company. Quick delivery and easy ordering process. Expensive, but the only solution available for my fire. Good service but not used the new battery yet as there is still a problem with the gas fire that it is needed for. Great service and item. British Gas had said I needed a new gas valve that was obsolete and even if available, would be £400 to fit. Spoke with Verine, valve in stock, £60 but advised to fit new, genuine SAFT battery. Battery fitted over a week ago and works perfectly! Easy to order, quick secure (Parcelforce) delivery. Would recommend.